Many senior citizens look forward to family reunions or get-togethers because they get to dine with their loved ones, tell stories of their past, and share their knowledge with younger ones. It is the time when they feel connected and loved by the ones close to them. When you are planning a menu for family get-togethers with your senior loved one, you have to customize their meals to avoid potential choking scenarios. If your senior family member requires feeding, you must consider how long it takes them to chew and swallow. Some older adults forgo using their dentures, so make sure you do not put large chunks into their mouth. Talk to your family members and avoid asking the senior family member questions while they are chewing their food. If they talk or answer between bites, they may choke on the food. Always make sure that the glasses on the table are not empty of liquids. When your senior loved one’s glass is empty, fill it up. Drinking water or juice helps push down food if it gets stuck in the throat. 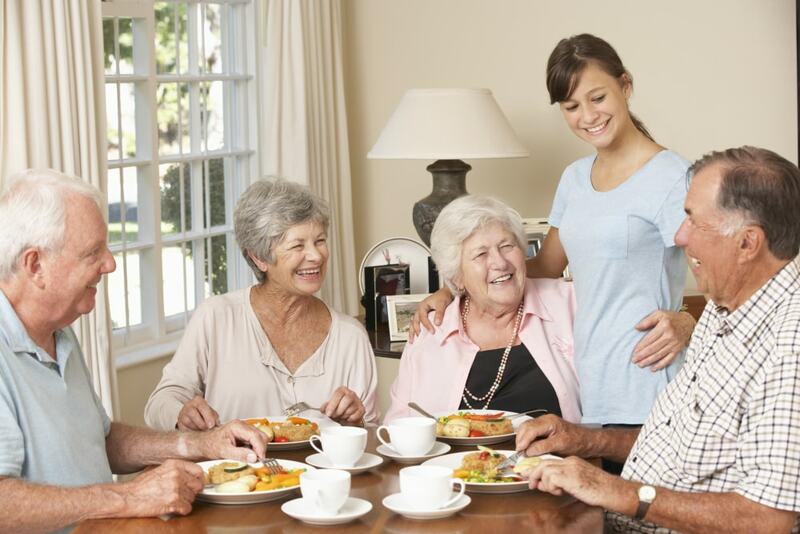 If you plan to hire services for senior care in Indianapolis, Indiana during your family get-togethers, you can explain to the care attendant what needs to be done during mealtimes. Our non-medical homecare in Indiana can provide you with professional caregivers that can assist with family reunions and get-togethers, especially during the holidays. For more information about our home health care services, don’t hesitate to visit us today. Do not forget to share our Advantage Senior Care blog with your friends! This entry was posted in Home Health Care and tagged Choking Hazards, health care, Senior Care, Senior Mealtime. Bookmark the permalink.